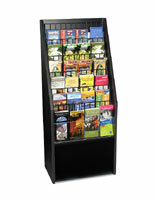 Disassembled Display Takes Only Minutes to Put Together. 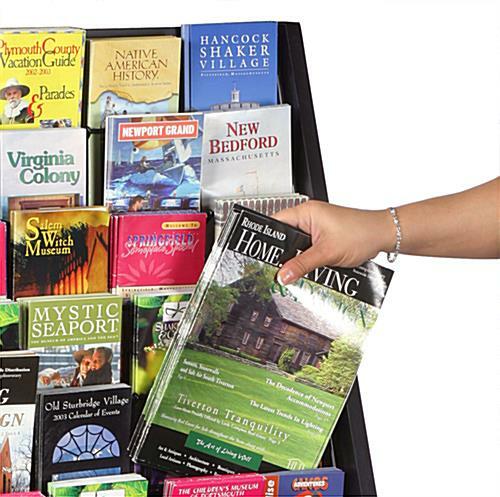 Stores both Brochures & Magazines with Adjustable Pockets. 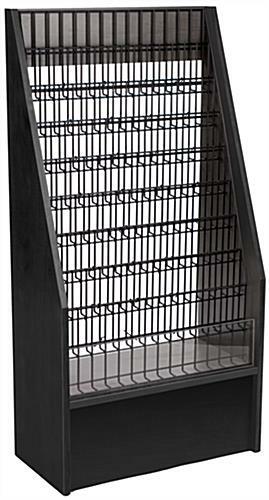 Wood & Wire are Durable Construction Designed to Last. 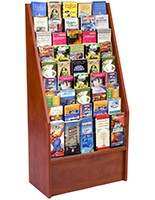 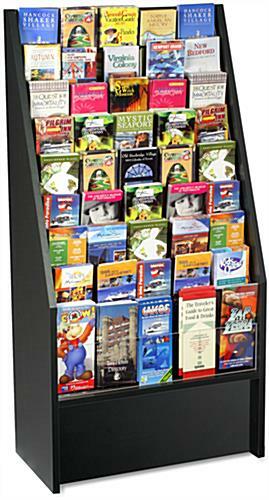 This 45-pocket wooden leaflet stand is divided into 9 tiers to display 4” wide brochures easily. 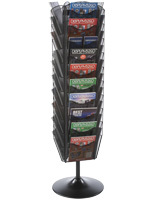 The literature rack is made of wood and finished with melamine for a classy look with durable construction. 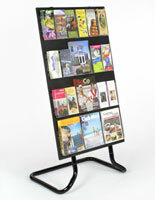 The leaflet stands with adjustable wire slots are able to present both trifold pamphlets and 8.5” magazines depending on whether the divider is in use. 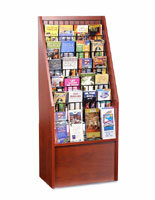 The black wood holder is able to coordinate with many settings because of its neutral appearance. 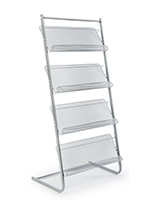 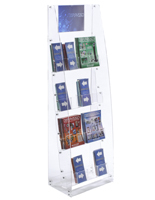 The stand has a plastic panel on the front to keep the reading materials upright in the wire shelving. 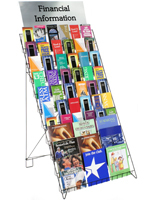 The literature rack is perfect for hotels, visitor centers, and libraries because of the ability to display many brochures in the holder at once.